The visit of a bishop of the autocephalous Church fuels discussion in the monasteries. The need to take a position was solicited by Metropolitan Ilarion (Alfeev) of the Patriarchate of Moscow, who condemned all the monks favorable to Kiev as "schismatic". Moscow (AsiaNews) - For the first time a bishop of the Ukrainian autocephalous Church has celebrated a liturgy in a monastery of Mount Athos, the spiritual center of Orthodoxy. On February 8, the head of the Odessa diocese of the new Ukrainian Church, Bishop Pavel (Juristyj) presided at the Eucharistic rite at the monastery of the Pantokrator (in the photo), welcomed by the fraternity of the local monks. It is one of the few monasteries of the Sacred Mountain that accepted the invitation of the Patriarch Bartholomew, sending a delegation to Kiev for the enthronement of the metropolitan Epifanyj (Dumenko), last 3 February. Most of the other Athonite monasteries, however, explicitly declined the invitation; the cenobites of Filoteo and Karakal declared that they would "bar the gates" to Epifanyj and his representatives. Now the need to take a position was solicited by Metropolitan Ilarion (Alfeev) of the Moscow Patriarchate, who condemned all the favorable monks in Kiev as "schismatic". "It is an urgent choice for the entire monastic confederation and for every single community of Mount Athos", the metropolitan admonished in a statement released by the Orthodox Iisus portal, "we love Athos not for its antiquity, for architecture or the beautiful landscapes, but because the Mountain retains its importance as a column of ecclesiastical truth for millions of Orthodox believers ". Following Ilarion’s indications, the Russian archimandrite Evlogij (Ivanov) denied the entrance on February 9th to Bishop Pavel, who after the Pantokrator also intended to visit the monastery of Saint Pantaleon (the Panteleimon), closing the doors in his face. It is one of the 20 main monasteries, on which the administration of the entire Holy Mountain depends, also known as Rossikon or "the Russians" monastery. Despite being actually very close to the Russian Church (in the 19th century it was under the control of the Moscow tsar), the Panteleimon still remains under the authority of Constantinople, like all the monasteries of Athos. President Putin visited him in 2005; currently the community is composed of over 50 monks, mainly Russians and Ukrainians. Other convents, such as the Zografou of the Bulgarians and the idiorrhythmic monastery Dochiariou, denied the visit to Bishop Pavel of Odessa, and from Vatopedi, one of the major monasteries, seven monks left the community in protest against autocephalous Ukrainians, who had instead been welcomed in the cenobiod. The seven asked to move to the Panteleimon. For now only four monasteries have accepted the visit of the Ukrainians, while Patriarch Bartholomew has recommended to all the communities of Athos to welcome representatives of the autocephalous Church of Kiev. The prestigious convent of Simonos Petras was granted to the Ukrainians to venerate the relics of Saint Simon the Hermit, but not to celebrate the liturgy. 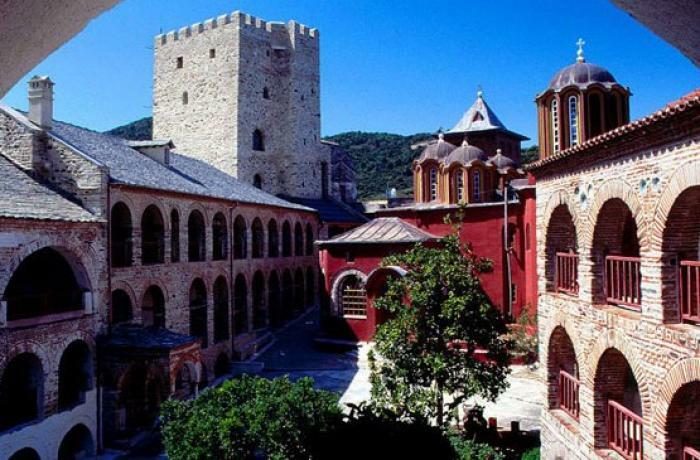 The meeting of Protos, the assembly of the 20 major monasteries that administers the Athos monastic republic, also called the Holy Kinotes, called to evaluate the "Ukrainian question", is expected in the coming days.